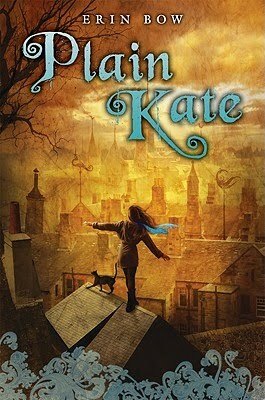 Plain Kate is the story of a girl who sells her shadow under pressure and in exchange for her heart's desire. It's also a story of the downtrodden, powerless, and abused. I picked it up thinking like it sounded like an interesting YA read. I didn't expect the darkness of this fairy tale. I really enjoyed the characters of Kate and Taggle and the rest of those around them. Everyone seemed to have dimensions to their personalities - there were no "good" or "bad" characters. I've always been a fan of the real fairy tales - the ones that realize that sacrifice and pain are not to be avoided or skimmed over. I've always preferred the Grimm Brothers to Disney, and this book leans definitely more Grimm. And the author's note at the end broke my heart anew. My one complaint about the book is the cover. It's so lovely, but doesn't fit the main character at all. She would never be walking roof tops. The story at one point tells of how she fears heights. I hate discrepancies like that. All in all, it's 7/10.